This past weekend was the annual WaterFire event on the Plaza in Kansas City. 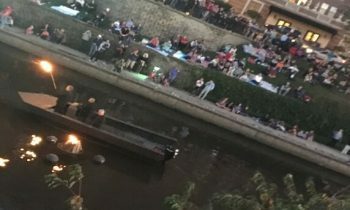 WaterFire is a unique experience of sparkling bonfires on the water, live music from boats along Brush Creek, and performances from the shore & the boats. The event employs three boats with 25 hp Mercury outboards to move performers up and down the creek….